As our kissin’ cousins at One-Daily Town noted in their Hexit Watch™ a couple of months ago, it didn’t take long for former Boston Herald editorial page editor Rachelle Cohen to get back in the newspaper business after exiting the shrinky local tabloid. Two months ago her Globe op-ed Befriending the Stranger featured this tag. Last month her op-ed on the Democrats’ Pelosi problem had a slimmer tag. 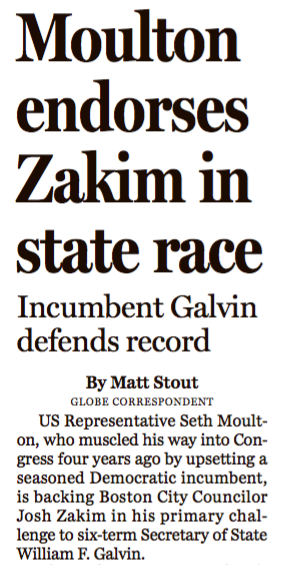 Today, Cohen’s op-ed about John Kasich has her on (editorial) board at the Globe. Good move by the Globe adding a smart, tough, reasonable voice to their opinion pages. Another Herald escapee – Matt Stout – seems to have gone in a reverse direction. 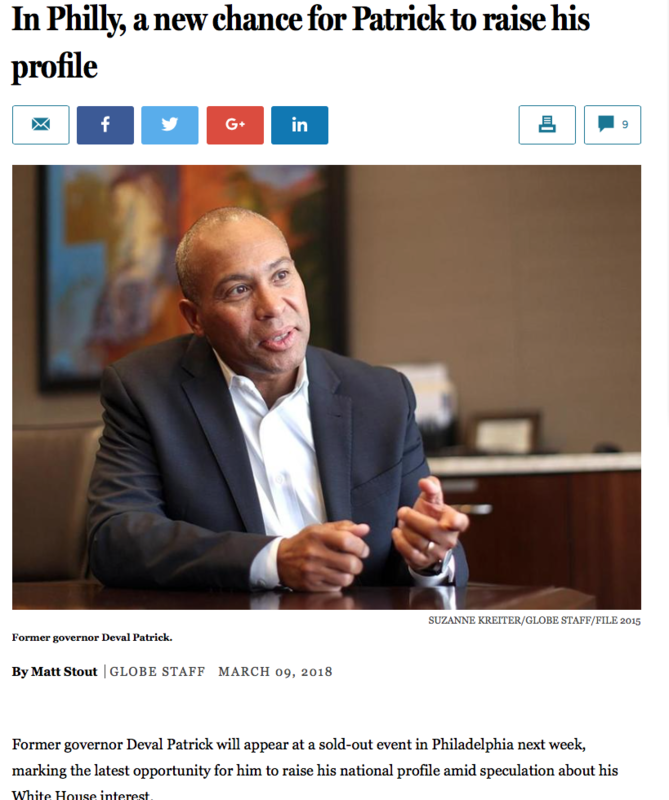 Stout jumped to the Globe in early March, starting off with this web piece. 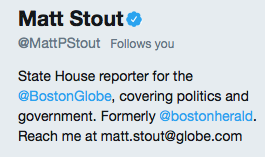 So there he’s Globe Staff. But since then, he’s been Globe Correspondent. So the headscratching staff went to – where else? – Twitter for the tiebreaker. We’ll just leave it at that. Today’s Boston Herald features the latest in its series of told-you-so front pages. 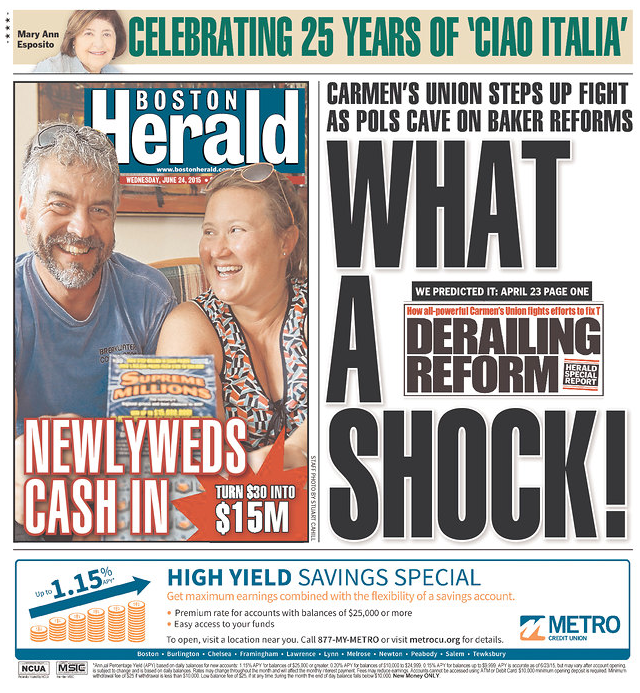 The story inside focuses on the $300,000 ad campaign the MBTA’s Boston Carmen’s Union has been running for several months. 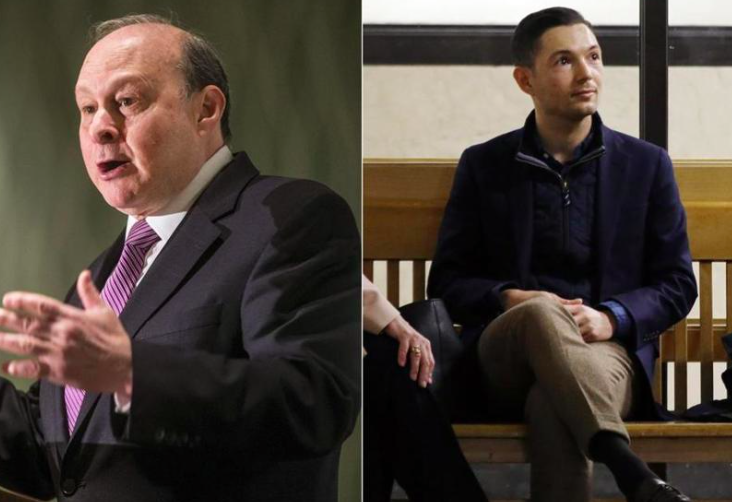 The powerful Boston Carmen’s Union, in a bid to derail Gov. 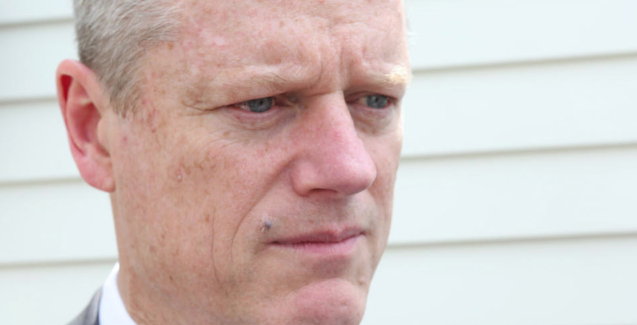 Charlie Baker’s MBTA reforms, has spent $300,000 on radio ads, organized campaign-style phone banks and poured thousands into the political coffers of key lawmakers and politicians overseeing T policy, a Herald review found. The review shows the 6,000-member-strong labor group’s mounting resistance as a top legislative committee has rebuffed Baker’s key reforms . . . Positive, maybe, but not all that reliable, as CommonWealth magazine pointed out last month. Yeah. Except the Carmen’s Union definition of “completed on time” is . . . “actually happened.” If you define completed on time as “arrived at destination on schedule,” that 95% drops to around 72% (67% this year so far) according to CommonWealth’s Steve Koczlea and Bruce Mohl. So, once again we see that MBTA=Might Be Totally Accurate. 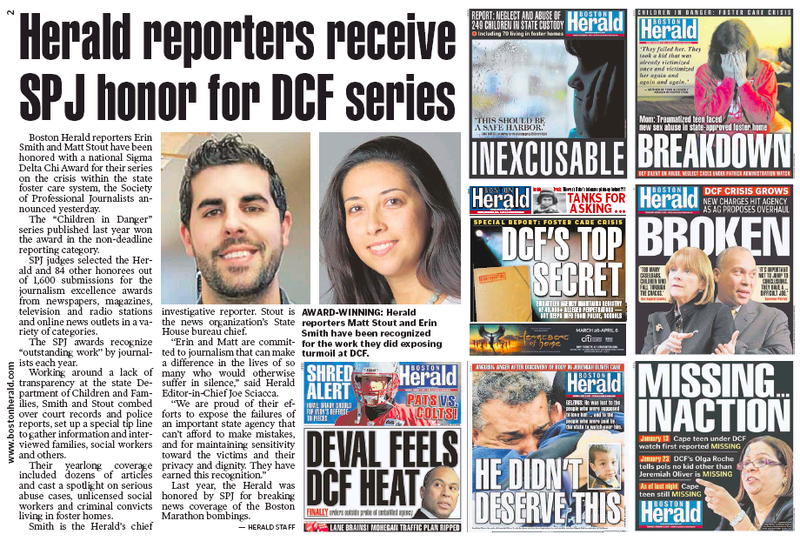 Well, the Society of Professional Journalists has announced its annual Sigma Delta Chi awards, and the Boston Herald exercised great restraint by waiting until page 2 to announce its good fortune. For those of you keeping score at home, that’s Herald reporters Matt Stout and Erin Smith who won a Non-Deadline Reporting award for their coverage of the state’s dreadful foster care system. Congrats to both. Crosstown, the Boston Globe’s David Abel won a Feature Reporting award for his piece, For Richard family, loss and love. Abel has yet to get a shoutout from the stately local broadsheet, but we’ll give him one here. Elsewhere in Boston media, WBUR’s Asma Khalid and Shawn Bodden won a Digital Audio award for A Fear Of Going To School: 5 Former Boston Students Reflect On Busing. Kudos to that duo. A nice haul for the locals, yeah? It’s gonna be like this every time Hillary Clinton (D-Chelsea) goes to New Hampshire. She also cast herself as a defender of Social Security and tried to demonstrate that she shares common cause with factory workers struggling to get by. Crosstown at the Boston Herald, Clinton’s definitely no woman of the people. Clinton came [to Keene] for her first stop in the Granite State since announcing her 2016 Oval Office campaign. The former U.S. secretary of state toured Whitney Brothers, a family-owned children’s furniture business, and huddled with employees for a much-publicized roundtable — but never pressed the flesh with several dozen people huddled outside. Most of the ignored backers were also young — a key demographic for the former first lady. Also no doubt struggling to get by. Or at least get acknowledged. So it looks like Hillary Clinton’s idea of a “listening” tour is strictly invitation only. Just ask the good people of Keene, N.H., a liberal hamlet where a half-dozen workers at a business hand-picked by Clinton’s campaign made the cut. 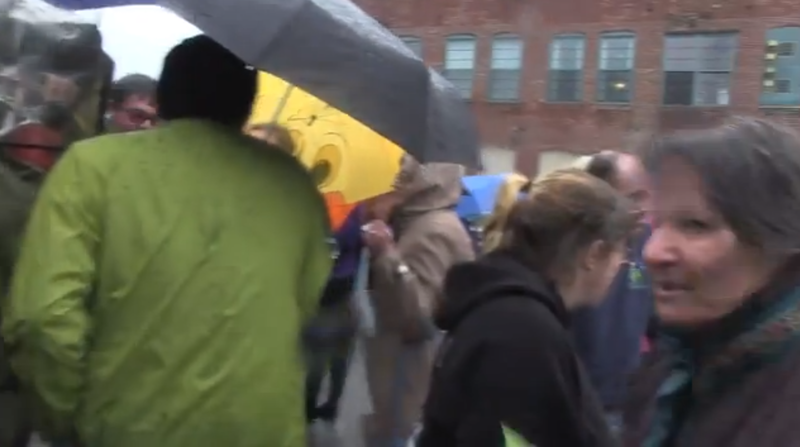 But dozens of unscreened voters standing outside in the rain? Sorry, Hillary won’t be “listening” to you. And voters better get used to it, because Clinton can pretty much do whatever she wants until next fall. Who’s going to protest, her Democratic primary rivals? There aren’t any. The media? Most are in the tank. Not the Herald, though. 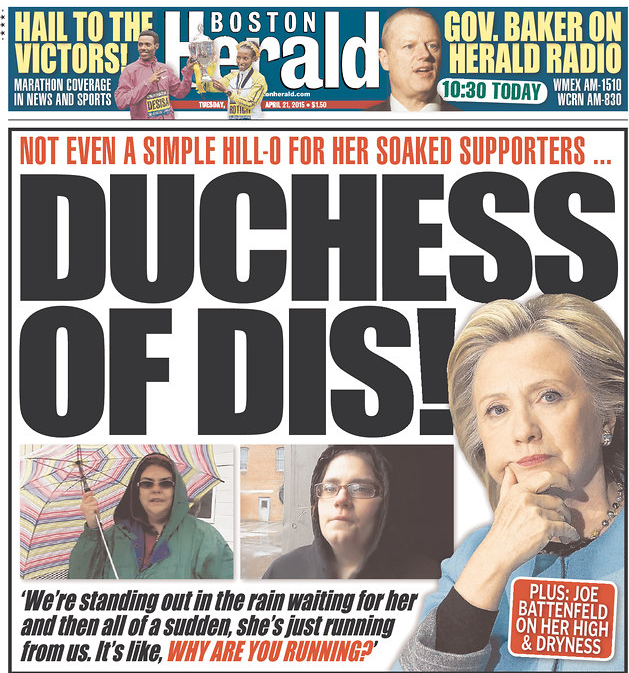 In all matters Clinton, the feisty local tabloid is the tank. Today’s Boston Herald features more slop from City Hall on the Store 2024 rumpus. A full page worth, in fact. Excellent! The Statement on the Olympic Referendum doesn’t actually mention the Olympic Referendum. 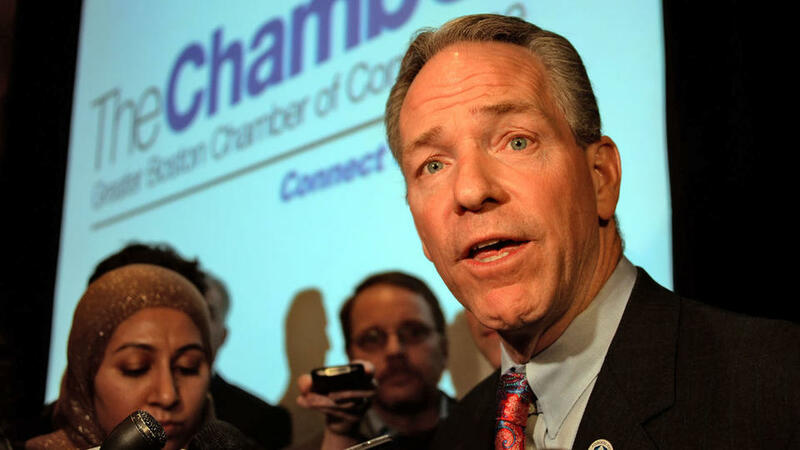 The head of Boston 2024 today set a date for a binding statewide referendum on the Boston Olympics — and vowed to give voters in Boston veto power over the controversial project. There you go. Or there the Olympic bid goes. 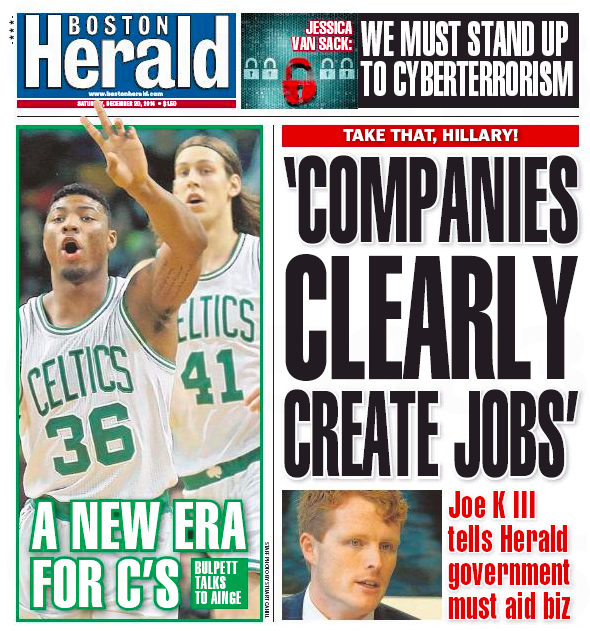 The Boston Herald jumps all over some Kennedy-on-Clinton action today, giving Page One over to Joe K 3.0. U.S. Rep. Joseph P. Kennedy III said yesterday that “companies clearly create jobs,” putting distance between himself and potential presidential candidate Hillary Clinton, whose controversial comments on the subject are expected to be fodder for Republicans this upcoming election cycle. 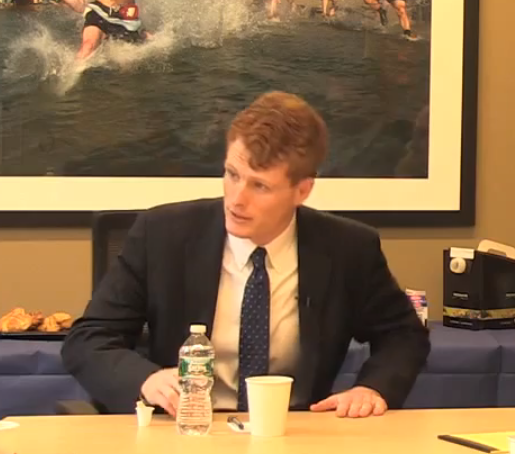 One of the Bay State’s rising political stars, Kennedy said in a Herald interview yesterday that Congress needs to embrace policies geared toward economic equality as it prepares to return next month under Republican control. But he said helping businesses, big and small, to “flourish” needs to remain part of that, as Democrats — increasingly galvanized by the populist bullhorn wielded by U.S. Sen. Elizabeth Warren — try to beat back criticism that they’re anti-business. Yeah – that was Elizabeth Warren two years ago, not two months ago like Clinton. So you could say Warren was the Granny of that particular sentiment. But the Herald wouldn’t say that. Doesn’t fit their storyline, does it?